Flowers, Birds, Bees, Ladybugs, Bunnies, Beach, Circus, Mardi Gras, St. Patrick's Day, Easter, 4th of July...So many adorable ways to relive your summer memories and warm up your Christmas tree this season...or decorate all year 'round! 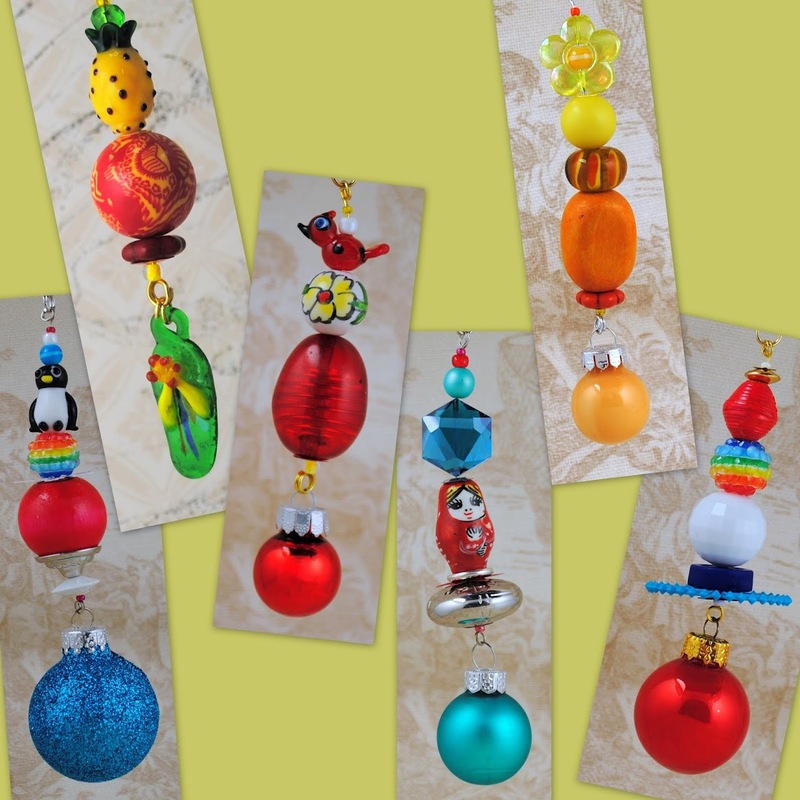 These one-of-a-kind ornaments range in length from 2 3/4" to 6 1/2". They are made from vintage and new beads, ornaments and jewelry components in a variety of materials including: glass, wood, bakelite, lucite, acrylic, plastic, resin, gold and silver-filled zinc, and sterling silver.